Like his mentor Elijah, the life of Elisha was filled with miracles. This was one of the more unusual wonders God worked through the prophet. In this case, in a time of famine (2 Kings 4:38), an unnamed man found a wild vine and brought it back to a group of young prophets. They sliced up the vine and threw it into a pot of stew. The vine or gourd was probably something known in that area as a wild cucumber. 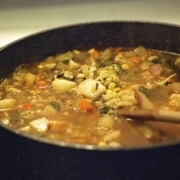 It can be bitter to the taste and cause severe digestive problems if enough is eaten, sometimes leading to death. Under God’s guidance, Elisha put some good flour into the pot of stew and something wonderful happened: what was once so bad that it brought death was now made good. We aren’t exactly told, but it seems they enjoyed the rest of the stew. Second, notice what Elisha did. Instead of trying to get all the poisonous stuff out of the stew, instead he added something good: flour, the stuff you use to make bread. 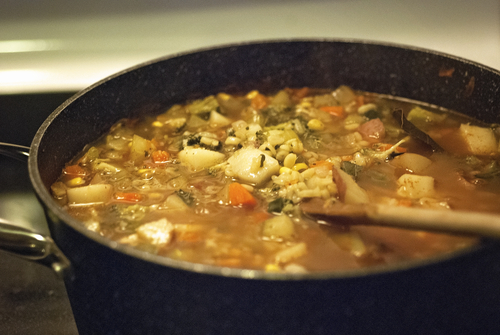 When wholesome food came into the pot, it changed everything. Surely there is a time to try and remove poisonous doctrines among believers; but more often the proper course is to add as much good spiritual food as possible. Jesus is the bread of life (John 6:35). Put the focus on Jesus and His life-giving Word – and watch how God gets the “death” out of a once-poisoned stew.